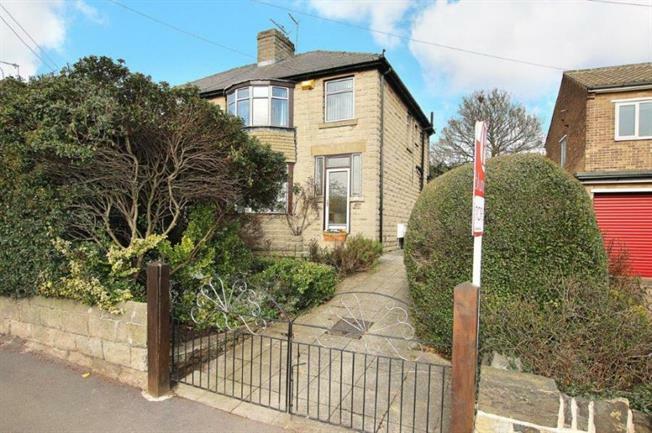 3 Bedroom Semi Detached House For Sale in Sheffield for Guide Price £205,000. Offering no chain is this three bedroom semi detached property with driveway. Located within this popular area and close access to Chapeltown centre. The property does require general upgrading but offers great potential to those willing to make a little effort. The accommodation comprises, entrance hallway, lounge, dining room, kitchen, three bedrooms and bathroom with separate w.c.
Outside to the front is a garden with driveway and gates and a good sized rear garden with shed and greenhouse. The property offers gas central heating, majority double glazing and no upward chain. Viewings strictly via the agents.